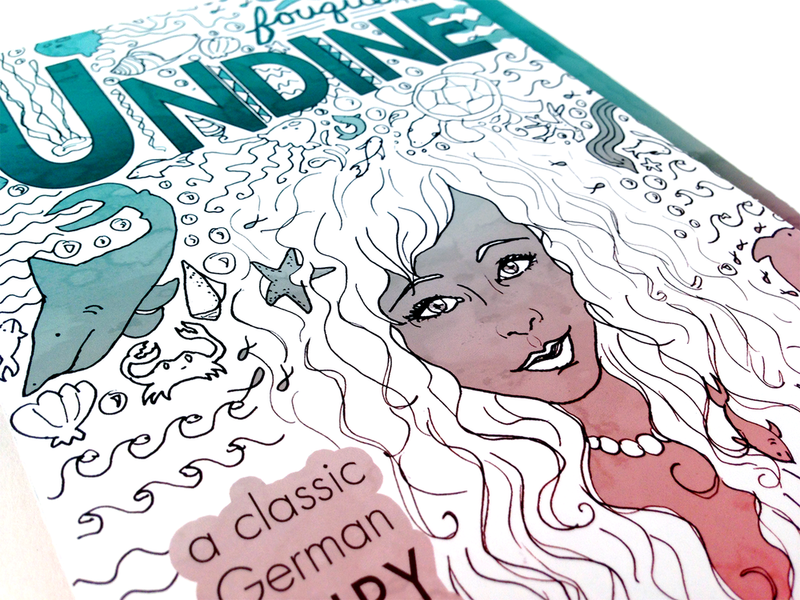 Undine is a classic German fairytale about the twisted love story between a beautiful water spirit and a mortal man. Here are three different book jacket concepts that represent various elements of the book (either a character, place, or object within the novel). 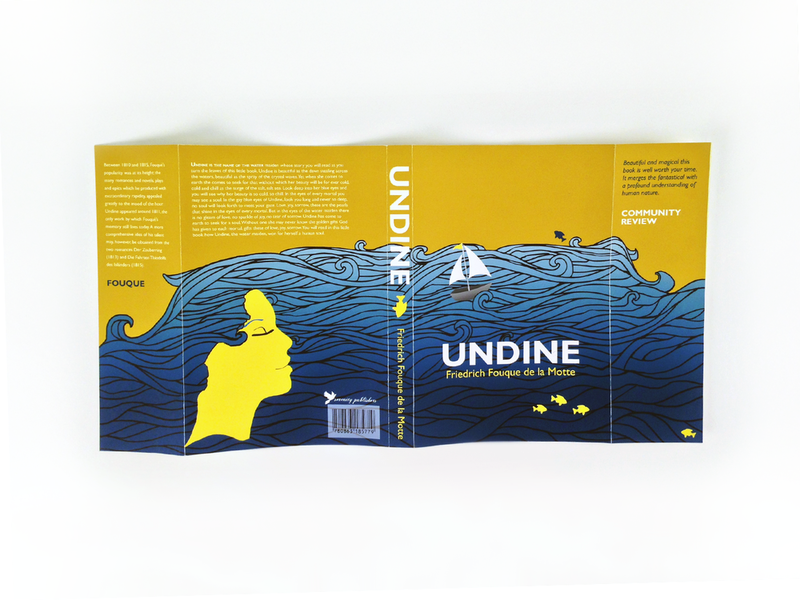 The book jacket includes the front cover, spine, back cover, as well as the right and left interior flaps. 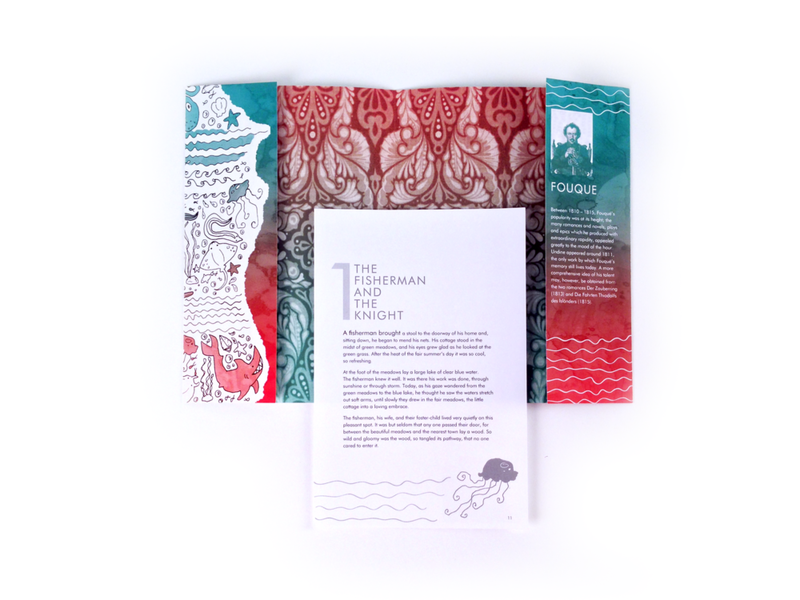 In addition to the book jacket, there is also a corresponding first page and endpaper for the inside of the book for each direction.